Nifty should rmain above 7950 to be positive on Sep 29. 8000 is the next resistance, if broken next target will be 8040. Support is at 7850, below which heavy profit booking could happen. Lower side targets are 7800-7750 in next few days. As covered in yesterday's analysis, below the level of 7950 , market saw huge selling today. Nifty is likely to hit a target of 7800. On the upper side 8000-8050 will be very strong resistance levels. Nifty should cross 7950 to remain positive on Sep 26. 8000 is the next resistance, if broken next target will be 8040. Support is at 7850, below which heavy profit booking could happen. Lower side targets are 7800-7750 in next few days. Nifty should cross 8075 to remain positive on Sep 24. 8110 is the next resistance, if broken next target will be 8140. 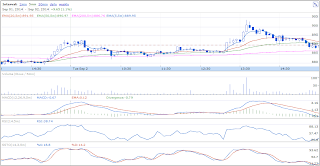 Support is at 8050 and 8000, below which aggressive profit booking could happen. Nifty should cross 8126 to remain positive on Sep 23. 8140 is the next resistance, if broken next target will be 8180. Support is at 8100 below which profit booking could happen. Nifty should cross 7970 to remain positive on Sep 18. 8000 is the next resistance, if broken next target will be 8040. Support is at 7950, below which profit booking could happen. Nifty should cross 7970 to remain positive on Sep 17. 8000 is the next resistance, if broken next target will be 8020. Support is at 7900, below which there will be fresh selling for target of 7880-60. Nifty should cross 8060 to remain positive on Sep 16. 8080 is the next resistance, if broken next target will be 8100. Support is at 8000, below which there will be aggressive profit booking. Nifty should cross 8125 to remain positive on Sep 08. 8150 is the next resistance, if broken next target will be 8180. Support is at 8050, below which profit booking could happen. Readers, today I give this important lesson on intraday trading for the benefit of all. 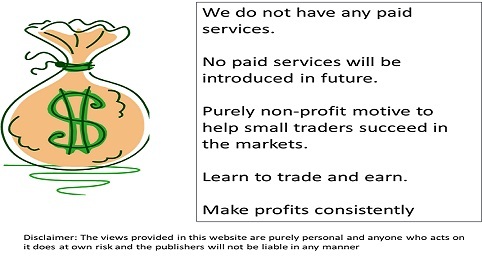 Please read this several times and practice in your daily trades. Please write to me in case you have any questions. 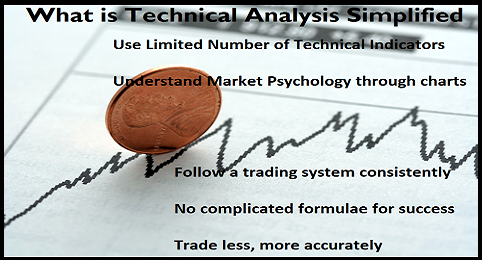 In our two trading systems - Opening Range Breakout and Intraday Trading System, we have defined overall market direction as an important indicator for high probability trade setup. While individual stocks break the support or resistance levels, it is also important to look at how the broader markets behave and plan your trades in broader direction to have higher rate of success. We traded for four days this week. Friday was avoided due to volatality and uncertainity. Nifty should cross 8120 to remain positive on Sep 4th. 8140 is the next resistance, if broken next target will be 8170-80. Support is at 8080, below which profit booking could happen. Nifty should cross 8075 to remain positive on Sep 3rd. 8110 is the next resistance, if broken next target will be 8140. Support is at 8050, below which profit booking could happen. One more day where levels did absolute wonders. 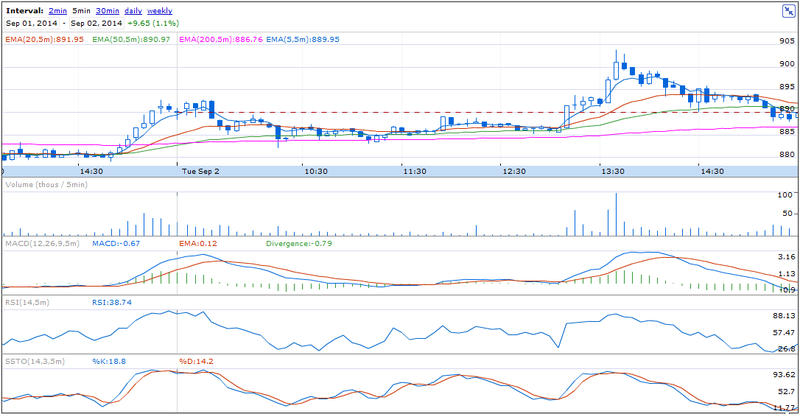 Reliance was subdued the whole day, on crossing 1025 it shot up. Bank of Baroda was negative throughout the day , on crossing 896, it shot up to meet both targets. Sharing my trading diary from 25 Aug. Trading only on 1 lot and profit booked at T1.